Unmatched in influence or legacy. What is left to say about Bob Dylan? 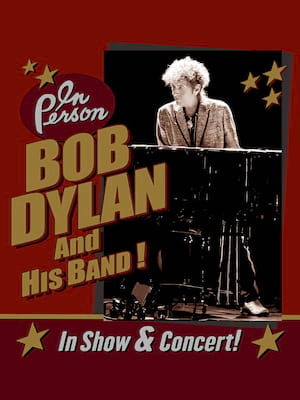 One of the most celebrated and influential artists of the last 60 years, Dylan started out as part of the burgeoning folk revival in the early 60's, winning popularity and acclaim with his 'finger pointing' songs that drew on social and political sources and became synonymous with the Civil Rights struggle. But creatively, Dylan never wanted to be constrained to one genre or ideal, and his 1966 'switch' to electric was received as an outrageous betrayal by those who had pigeon-holed him as a protest singer. Luckily, he has never listened to his detractors and in this period released some of rock's most prestigious albums, including Highway 61 Revisited, with the lead track 'Like A Rolling Stone', which was voted number one on Rolling Stones 500 Greatest Songs of All Time in 2010. There is more to this cultural chameleon than his hits, but to describe every nuance and tale would be a disservice, as there is nothing like seeing him live! 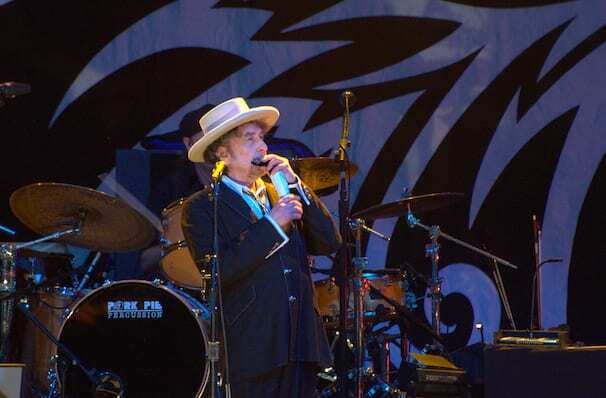 Since 1987, Dylan and band have taken on the world numerous times with the Never Ending World tour, bringing his immense back catalogue to audiences, whilst still recording and releasing new records. His legacy precedes him, there is not a folk or rock artist working today that is not in some way inspired by this legend. Sound good to you? Share this page on social media and let your friends know about Bob Dylan at The Met Philadelphia. Please note: The term The Met Philadelphia and/or Bob Dylan as well as all associated graphics, logos, and/or other trademarks, tradenames or copyrights are the property of the The Met Philadelphia and/or Bob Dylan and are used herein for factual descriptive purposes only. We are in no way associated with or authorized by the The Met Philadelphia and/or Bob Dylan and neither that entity nor any of its affiliates have licensed or endorsed us to sell tickets, goods and or services in conjunction with their events.